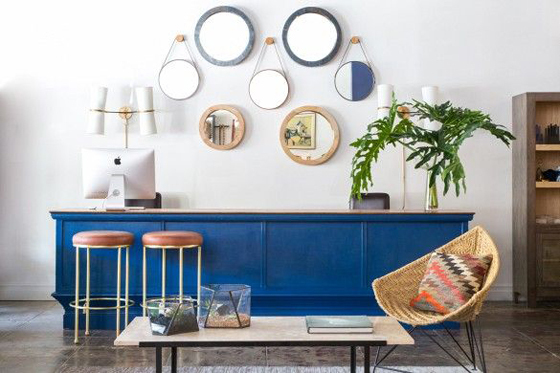 All of a sudden I’m totally obsessed with blue. I can’t get enough. I want blue everywhere in my house. It may have something to do with the fact that we just painted our guest room a phenomenal shade of dark blue with crisp white trim, and it’s our new favorite room in the house (eek, can’t wait to finish it and show it to you!). 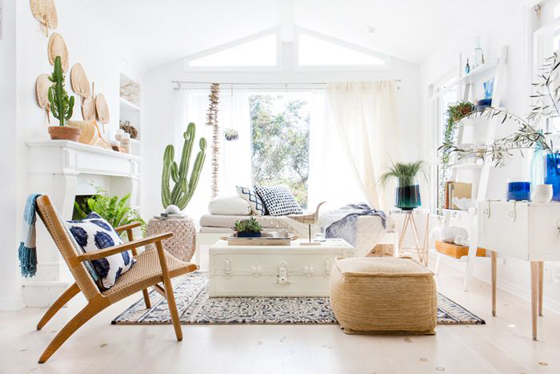 The combo of blue and white is so classic and comfortable, like your favorite pair of jeans and a white t-shirt, but these rooms below also show that it can feel fresh and modern, too. 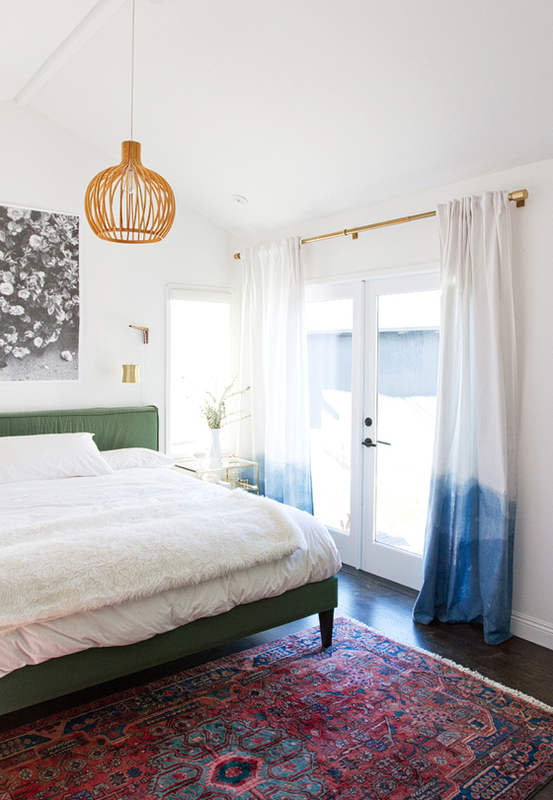 What all of these rooms have in common is a pretty white base with blue accents like pillows and rugs. 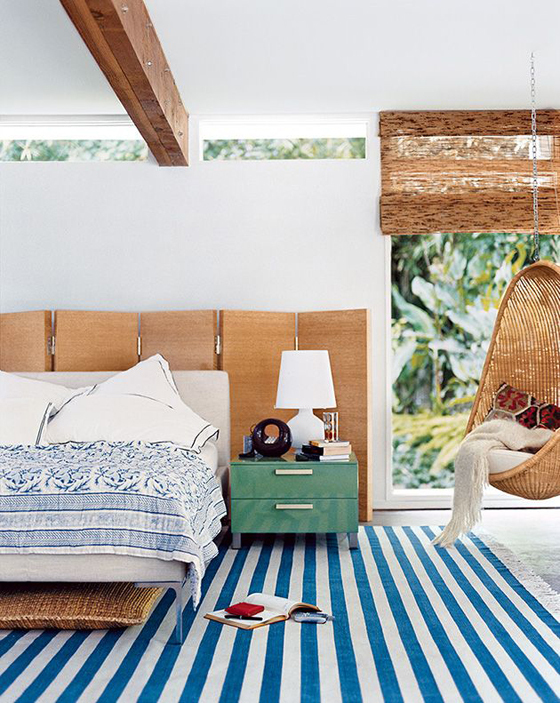 And since blue and white can sometimes feel a little cold, these rooms all bring in natural and wood elements to warm them up. What do you think? 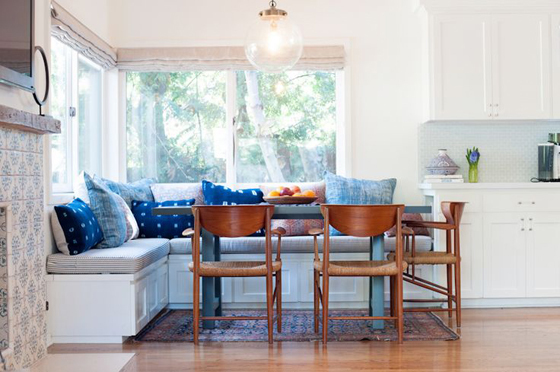 Would you or do you decorate with blue? What color do you decorate YOUR home? I’d love to hear!